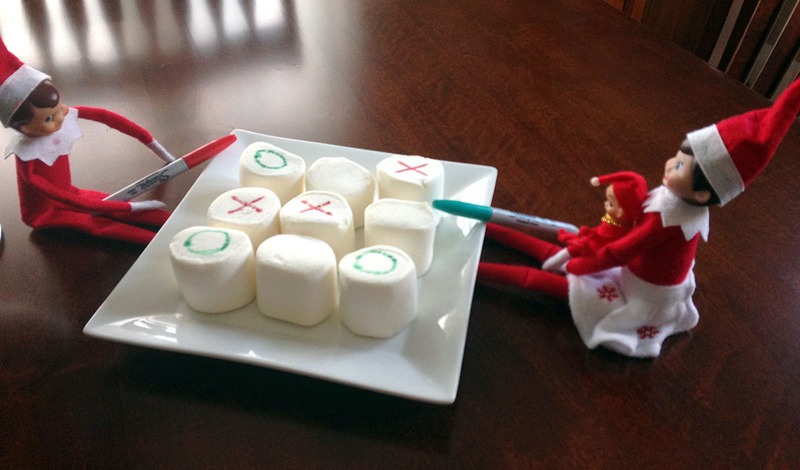 We, like a lot of families, have an elf on the shelf. We started this tradition six years ago…it was the first Christmas in our current home, and I thought this would be a fun addition to our holiday traditions. Our older daughters didn’t quite “buy into it,” but they have enjoyed helping to create the magic for their younger sister. 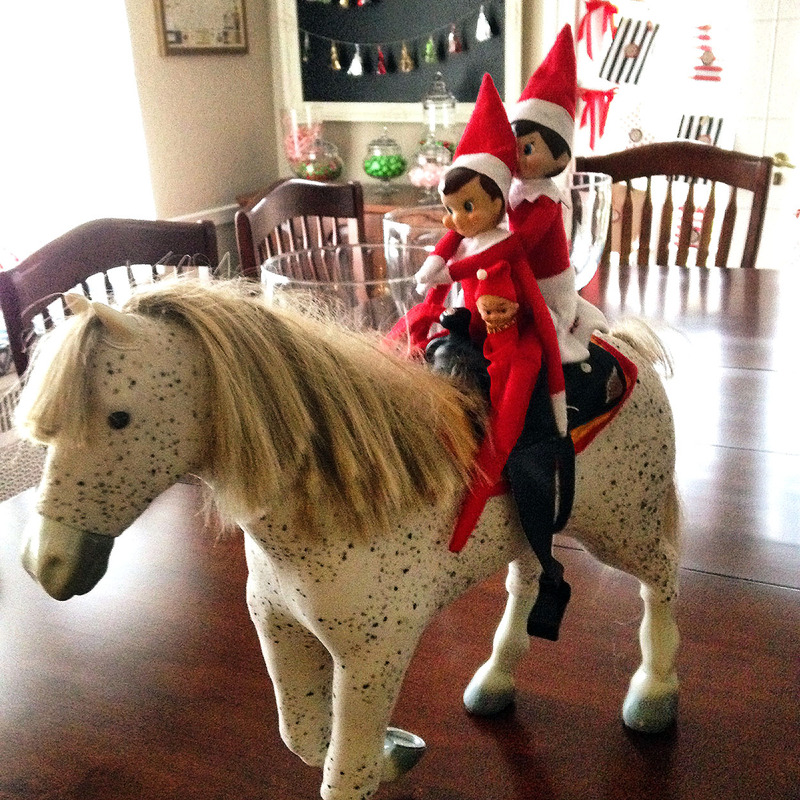 We named our elf George, and today I’m sharing some of his adventures. 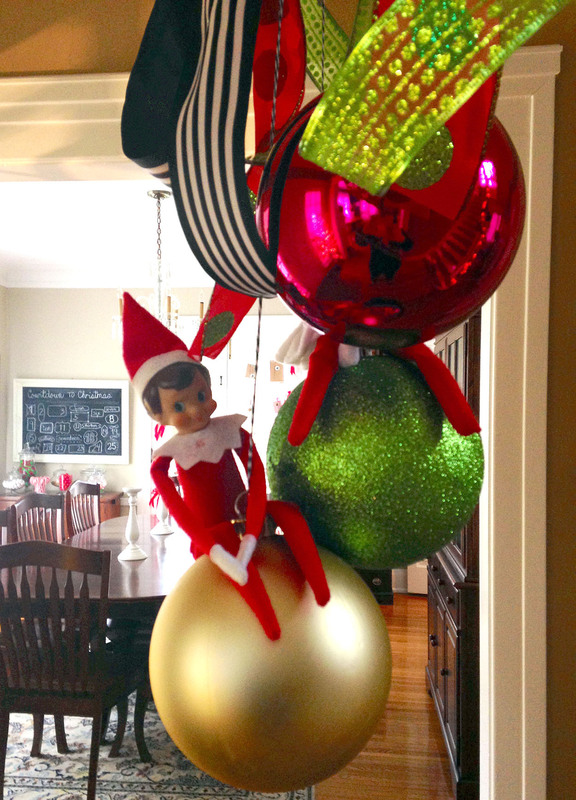 George came into our lives “like a wrecking ball.” Unlike Miley, he wore clothes! 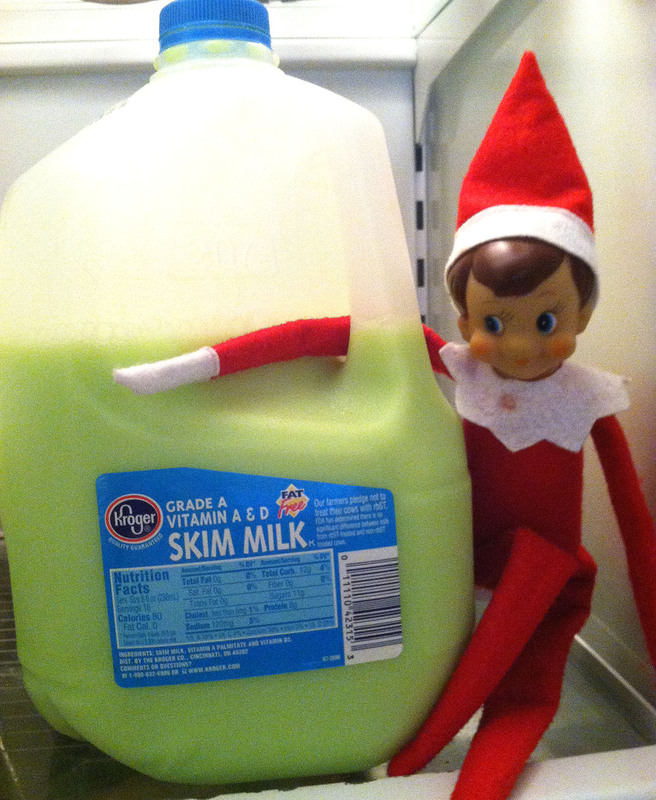 Just like the leprechauns, George turned our milk green! 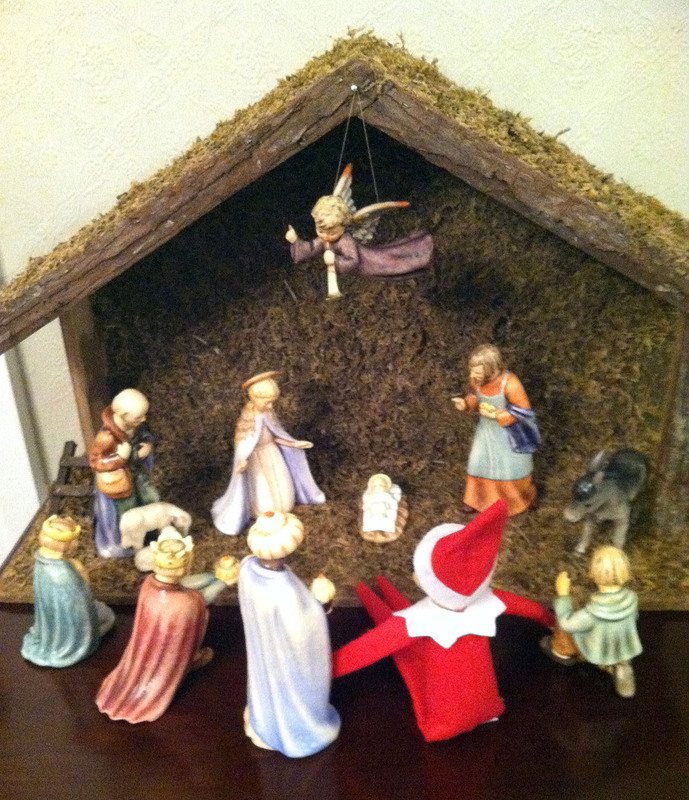 George became a part of our nativity and joined in rejoicing the birth of Jesus. 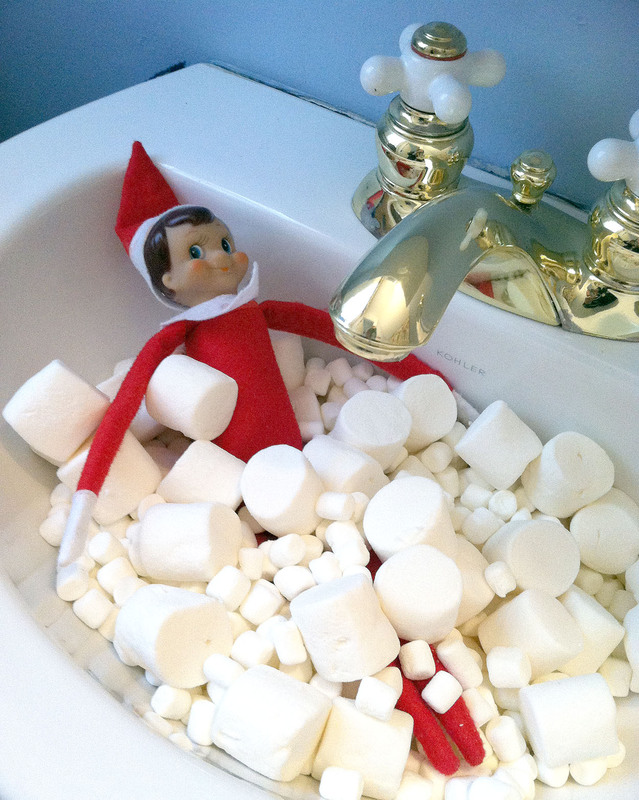 After all that mischievous, he needed a bubble bath. 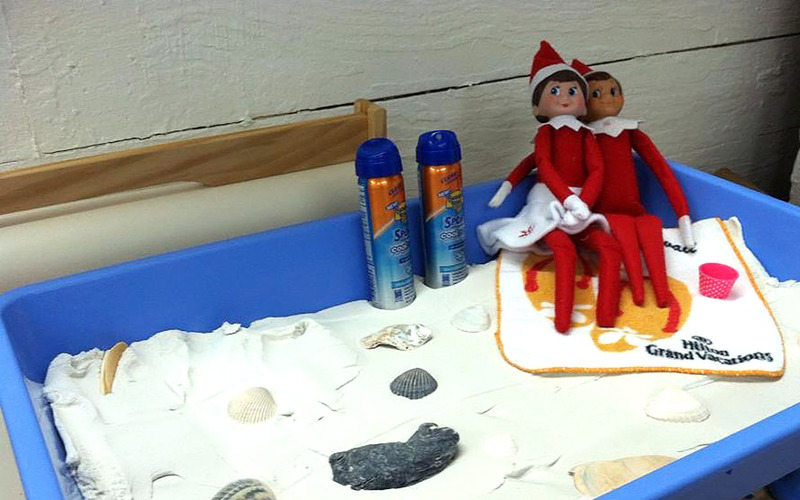 A few years later, George returned for the holidays with a wife. Her name is Georgia…yes, we are quite clever with the names! Notice George’s bowtie…he was dressed for the wedding. What’s a wedding without a honeymoon? 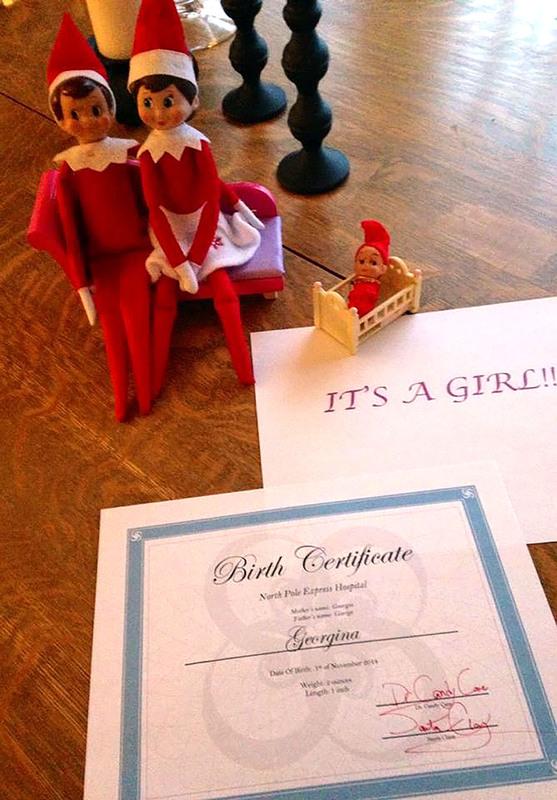 So the next year, George and Georgia returned with a little bundle of joy named…you guessed it, Georgina (clever, right?). 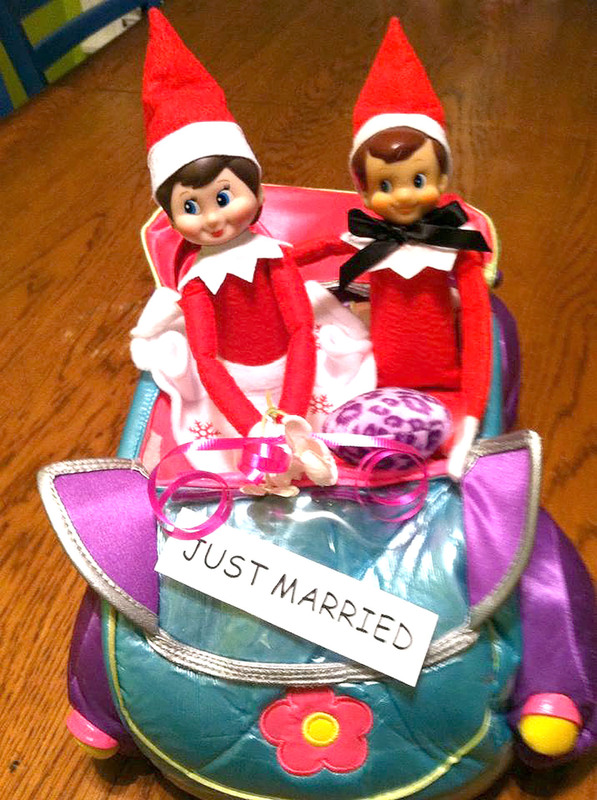 And now it’s a family of three elves living at our house during the month of December! This year, they came back on a horse. 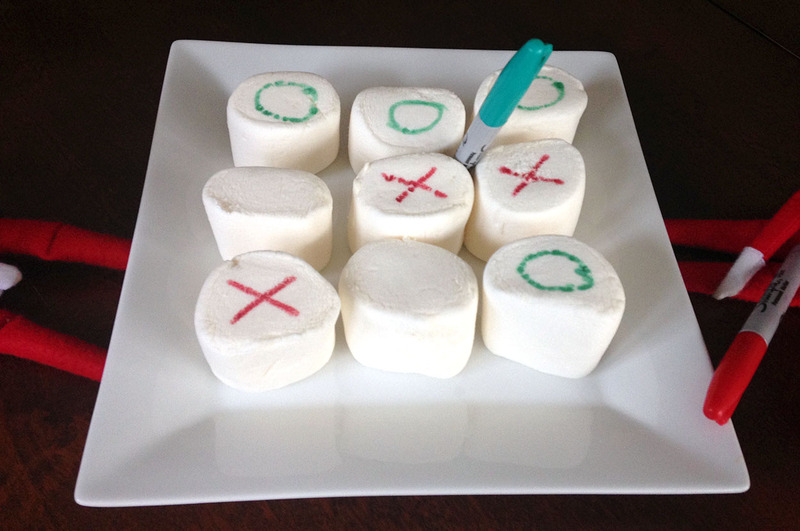 They’ve interfered with my baking! 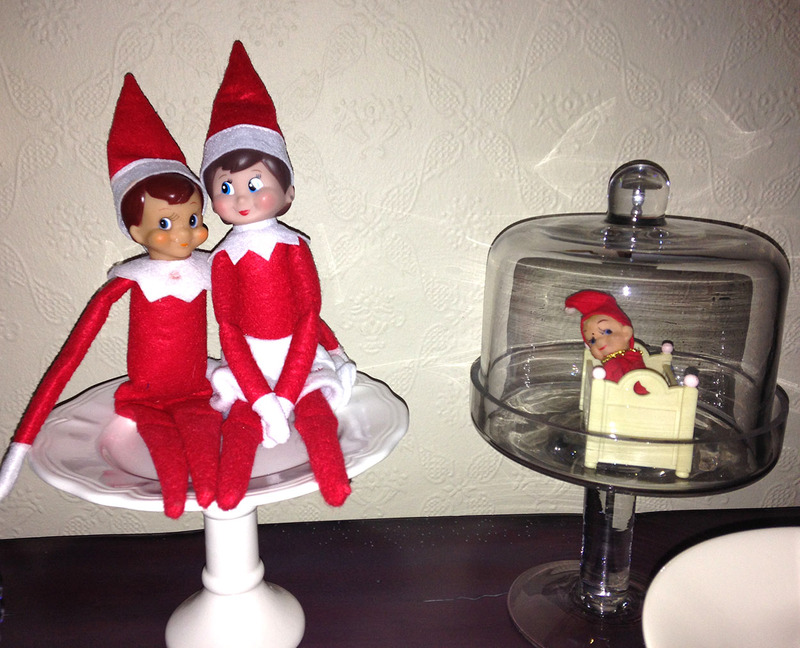 They caused some mischief in C’s bathroom one night! 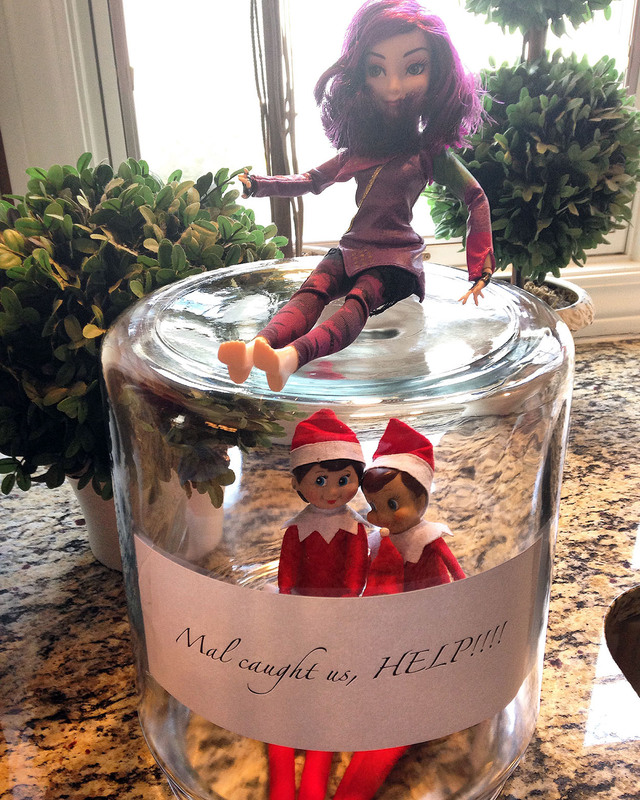 Then Mal (from the Disney movie Descendants) decided she had enough and captured the elf family one night. 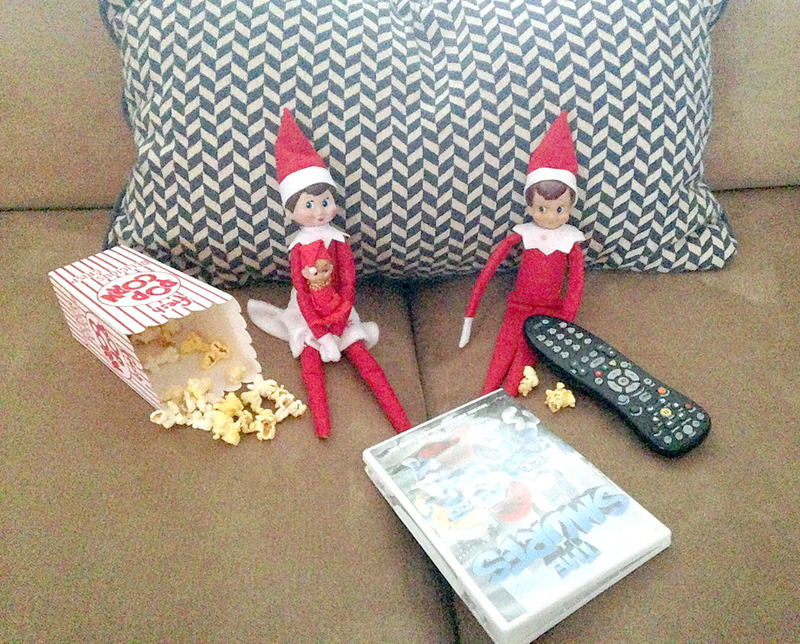 George, Georgia, and Georgina settled down for a movie and popcorn later that week. 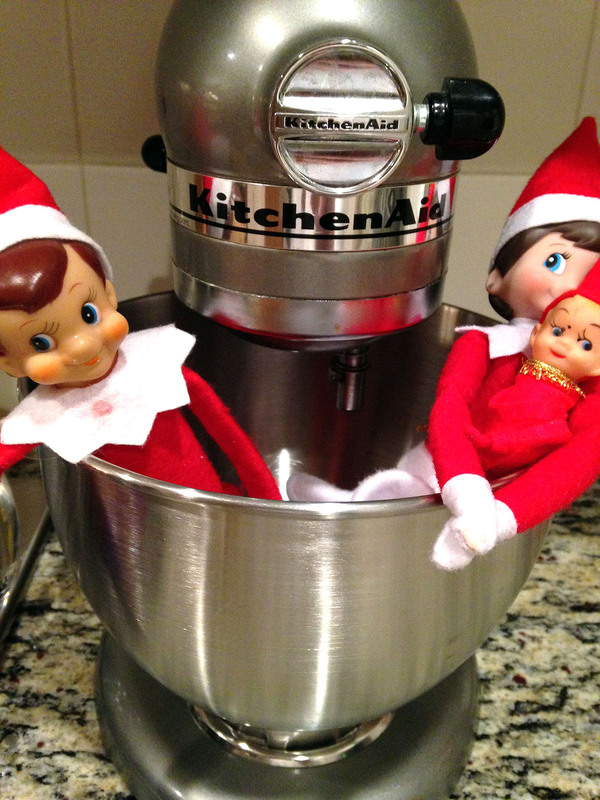 Our family (even the older girls) enjoy the antics of our elf family throughout the month. It is definitely an incentive in getting C out of bed in the morning…she wants to see if George and his family delivered a good report to Santa and in doing so, changed locations in our house for the day. Now the question is…will they return as a family of FOUR next year? I think we enjoy it more than the girls!